Hana plumbers are necessary for new construction of homes to install pipes and water systems. However, most people need a plumber for their existing pipes when something breaks. 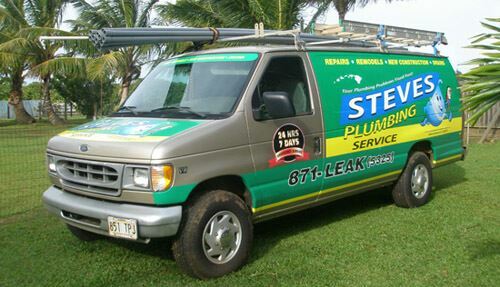 At Steve's Plumbing, our Hana plumbers are professional, courteous and qualified to fix any plumbing problem you may have. We service all of your plumbing needs from toilet repair to water heater installation. So if you are looking for a professional plumber in Hana, then please call us at 808-871-5325 or complete our online request form.